Launched in 2017, the Knighthood campaign was created for families who wish to donate to the PTA early and all at once so they didn't need to worry about fundraising for the Fun Run. Free EARLY registration for all participating children and family members in the Arundel Fun Run (Oct 14). Special-edition Arundel Knights re-useable water bottle for your Arundel students. Free Fun Run t-shirt for your Arundel students. Family PTA membership and small contribution to a fund for teacher PTA memberships. Family recognition on our Knighthood Roster that will be proudly displayed at all school community events. No need for your child or family to fundraise for our Arundel Fun Run. Donate today! Go to 2018knighthood.cheddarup.com to become a member of the Arundel Knighthood. Prefer to write a check? Download this form and then drop it off with a check to your child's teachers or the front office. How does Fundraising work at Arundel? Fundraising, both at the PTA and SCEF (San Carlos Education Foundation) level, plays an important role in the success and development of Arundel Elementary School. Without this additional financial support from our parents and community, many of the valuable experiences and programs our school enjoys would simply not be possible. Both the Arundel PTA and SCEF are 501(c)(3) non-profit organizations, making all fundraising donations tax-deductible. Monies raised at the PTA level are used towards student services, staff materials, and school-wide events held throughout the year to enhance our community’s experience here at Arundel. 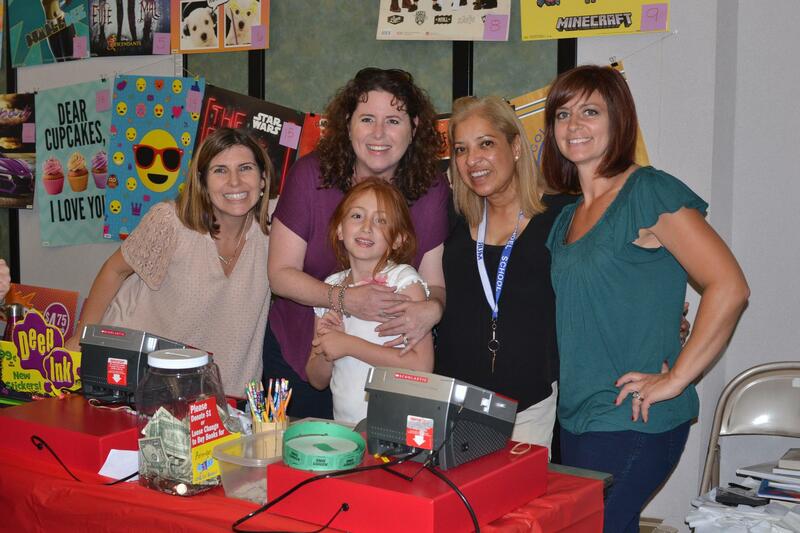 Art In Action, Science Night, Parent Education Nights, the Talent Show, and Healthy Cities Tutoring are just a few examples of services and events made possible with the generous support of our PTA. Funds raised assist in the rental of transportation for field trips and the purchase of library books, and provide financial support for valuable teacher grants, assemblies, and campus beautification/improvement projects - along with much, much more. Learn more about the Arundel PTA. Funds are allocated towards supporting the salaries of librarians, PE teachers, and other student service staff members. In addition, district-wide music programs, middle school elective programs, and technology equipment and programs are further bolstered by SCEF’s important dollars. For more information on SCEF and their fundraising efforts, please visit their site. Their fundraising goal for the 2016-17 school year is $2.5 million. Read below about the many different fundraising events that take place throughout the year. Events are added to the school calendar when dates are confirmed and you’ll also hear about them through the Arundel Knightly News (the AKN - our weekly school e-newsletter), through our page on Facebook and through other class and school communication efforts. Through the efforts of the Arundel PTA and the volunteer hours of our dedicated parent community we are able to offer many different ways for students and their families to be part of our vibrant school family. Our school relies on these fundraising events to support various programs throughout the year. The Arundel Fun Run is the PTA’s primary fundraising event of the school year. Typically its proceeds have accounted for approximately 60% of the PTA’s projected income for a given school year. To lessen the fundraising burden of pledge gathering and a sometimes overwhelming number of emails associated with fundraising for the Fun Run, for families that prefer to donate one time, at the beginning of the year we have started the Arundel Knighthood Campaign. Students and their families run, jog, or walk a one mile or 5k course around Arundel’s campus and Arguello Park. The Fun Run provides a unique opportunity for the school community to gather while exercising, raising money, AND creating memories all at the same time. Visit the Fun Run page for more details on this fun family event! Show your Arundel pride and help raise money for the school by purchasing Spirit Wear! Options are available for both kids and adults in a variety of sizes and colors. Styles usually change each year to help grow your Arundel wardrobe! Spirit Days are held every Wednesday and we encourage students to wear their Arundel Spirit Wear and show their school pride. Learn more about purchasing Spirit Wear. Arundel is pleased to host two Scholastic Book Fairs during the school year - one in the fall, and another in the spring. All proceeds go towards supporting the library and helping to purchase new books and supplies. Book Fairs are typically held for four days in the Multi Use Room. A Family Shopping Night is held on one evening during the Fair, and classes also visit the Book Fair during their library time. Purchase a memorable yearbook for your child and support Arundel at the same time. TreeRing is Arundel’s yearbook vendor, and orders may be placed at http://www.treering.com. Yearbooks are $30 and several upgrades may be purchased at checkout. Yearbooks will not be available in the office at the end of the school year, so don’t miss this opportunity! Learn more about the Arundel Yearbook. The Box Top program is a simple way to support Arundel’s fundraising efforts. Look for the pink Box Tops for Education tags on specially marked food items at your local grocery store, and cut them out. Submit them to the PTA, and after they’re cashed in at the corporate office, the PTA gets a check back. The PTA earns 10 cents per tag submitted, so get clipping! AmazonSmile - Shop from Amazon often? Register with AmazonSmile using your existing account, select Arundel Elementary as your charitable organization and Arundel automatically earns .5% of your eligible purchase totals every time you shop. eScrip - Shop at the eScrip online mall and earn money back for Arundel at dozens of online retailers. Prefer to go to a store? Register your credit card, retail, and grocery cards with eScrip, and you’ll automatically earn money for Arundel every time you use those cards. eShopedia - Download eShopper from their website, and automatically access school referral links from online merchants that pay commission back to Arundel when you shop. Target - Get a Target Red Card, so that you save 5% on your purchases AND Arundel earns 1% back. Shutterfly - Visit their website, and in addition to getting great photos and products, Shutterfly will donate 13% of your purchase proceeds back to Arundel. Be sure to select Arundel as your charity! Sports Basement - Mention Arundel while shopping at Sports Basement, and you’ll save 10%. Another 10% will go back to Arundel!